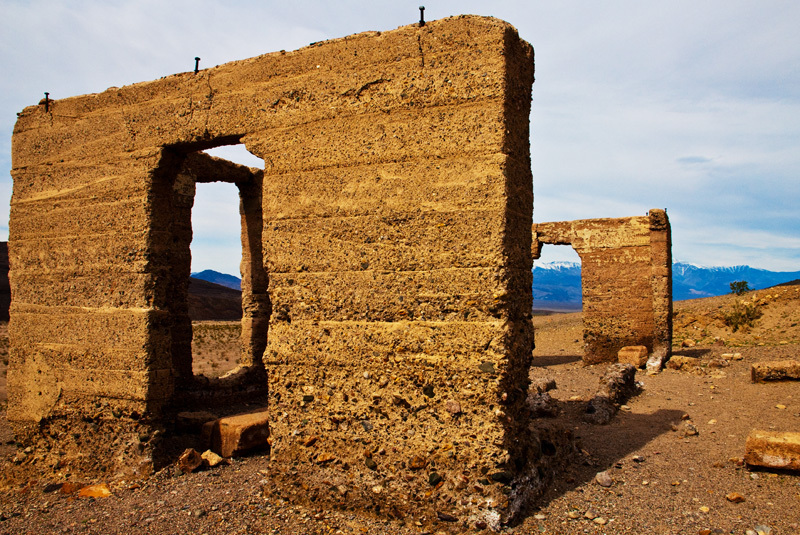 The ruins of the Ashford Mill in Death Valley. Because of the partially golden hues of the surrounding mountains, a lot of prospectors landed here during the Gold Rush. They did find some gold, but not enough to make a profit.